“Oh no. We have to toss them out,” the bartender said with a sour look on her face as she removed a thin, black straw from her mouth. Four intricate cocktails she just made were lined up in a row in front of her. “All of them? !” her coworker asked. And down the drain the cocktails went. A couple months ago, I sat a few feet away from this interaction and observed the bartender acknowledge her mistake, even though it was costly. She then produced the proper cocktails before presenting them to her customers. Although it was arguably not fun to admit she had mixed the drinks incorrectly, she realized it was more important to maintain her audience’s trust and deliver the cocktails they ordered. Her goal was to serve them what they wanted — and that is the essence of effective content marketing. As you work your way through the material below, think of the following lessons as publishing guides for meticulous content creators. Any fans of the band Wilco out there? Brian Clark is one of them. In What to Do When You Absolutely, Positively Must Know If Your Content Will Rock, Brian shares a story about a turning point in the band’s career. If you’ve ever wondered how you’re going to move forward when circumstances don’t turn out the way you planned, you’ll want to check out this fascinating article that will guide you toward your next step. Remember those words every time you write to help ensure your content provides unparalleled value for your readers. If it doesn’t, push yourself creatively and refine your work. Your audience will thank you. Review Henneke’s 11 Common Blogging Mistakes that Waste Your Audience’s Time when you’re ready to strengthen your current blogging routine. In The One Irrefutable, Universal Law of Podcasting Success, Jerod Morris asks if you’re willing to show up reliably over time for your audience. Which is why the rewards are so great for those who stick it out. You’ll never know what could happen until you make and honor a commitment to your audience. Every time we produce a new piece of content, we each have the opportunity to toss out a poorly made cocktail in favor of a delicious treat someone truly wants. Study this post (and save it for future reference) as you continue to fine-tune your content strategy. Previous article: What Is the True Cost of Building and Managing a WordPress Website? Tailoring your content to what your audience wants is crucial. When you don’t connect with them, it can mean the end of your blog or your career. Thank you for sharing some great tips and resources. Yes, I agree very much. The most important in blogging is making sure your audience will like what you are writing. Thanks for a great article. Yep, the content should be very quality and creative and need to focus customers desire, not to focus your business. 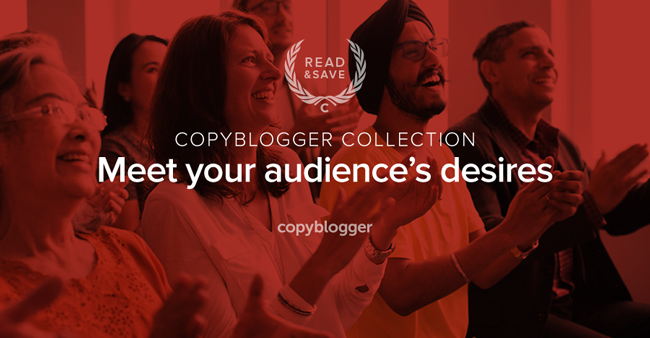 This is the great idea to customers like your content.